Static pages are all of the pages on your blog that are not blog posts. You can use static pages in lots of ways on your blog: an about me page, a contact page, an FAQ page, newsletter subscriptions, blog series, etc. 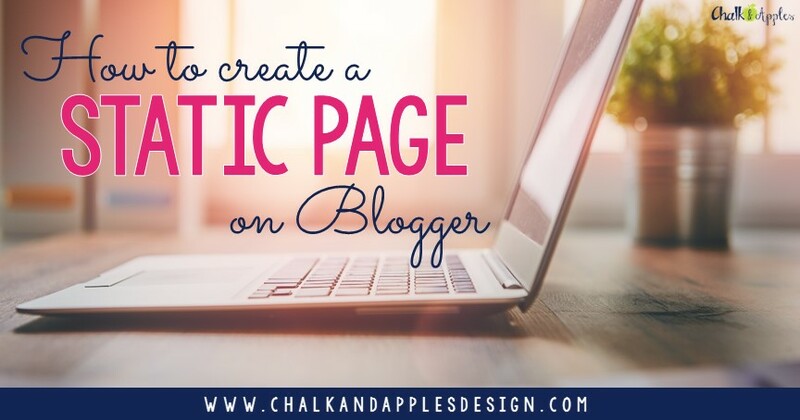 Want to add a static page to your blog? Here's a quick and easy tutorial! 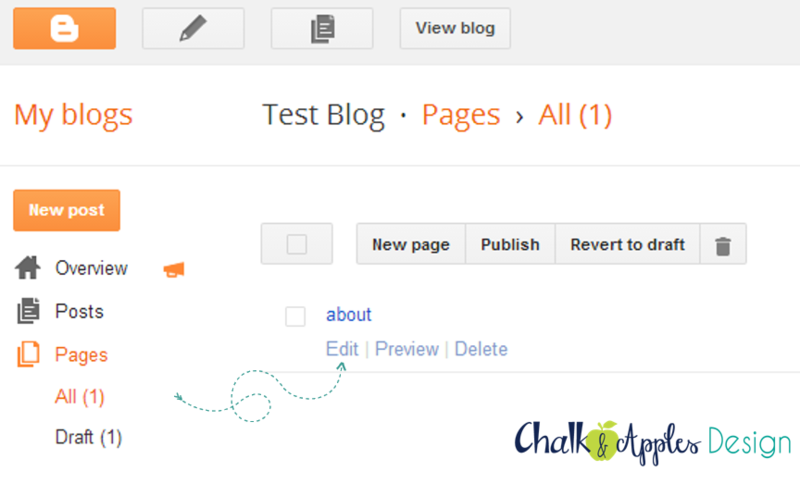 In Blogger, click Pages, then click New Page. The page editor looks just like the post composition page, so you should be pretty comfortable with the layout. The first thing you want to do is give your page a title. Do not type anything in the main body of the text before you set a page title! 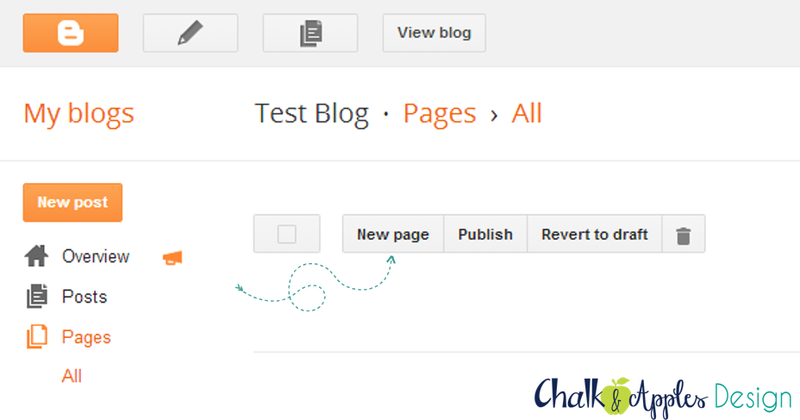 Unlike blog posts, when you create a new page, you do not have the option to set a custom URL for it. 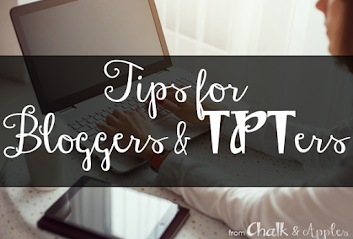 Blogger sets the link for you based on the page title that you enter. When you first open the page. If you start typing your text first, Blogger will create a long URL based on the first several words you type. So... When you open the page, give it a simple title and click Save, then Close. For example, on my About page, I chose to just title it 'about' so that the URL will be www.chalkandapples.com/p/about.html - nice and clean. Now, click edit to open your page again. Once your URL is set, you can change the page name to anything you want. I suggest changing it to something more personal and/or including search keywords, depending on the purpose of the page. You can change page titles as often as you want, and the URLs will stay the same, so all your links will still work! Create your page in the same way you would write a blog post, and click Publish when you're ready for it to go live. In order for readers to find your static pages, you will need to link to them somewhere on your blog. You can add them to your menu bar, add a Link widget to your sidebar, or use an image to link to a particular page. It's completely up to you, but make sure you link to it somewhere so that readers can find it.